Headed out of Gloucester you immediately pass this popular restaurant. Located next to wet land with a view of the Annuisquam River. At $27 for pound and a quarter lobsters we were overcharged on every level. Quality did not match price. 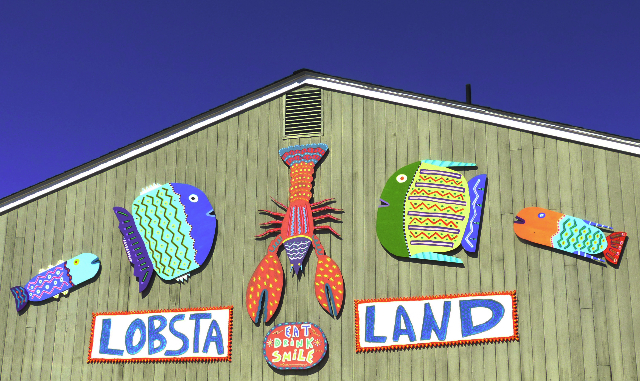 Leaving Gloucester on route 128 you run right into Lobsta Land. It's the tempting last chance for seafood. The restaurant is on the edge of wetland. 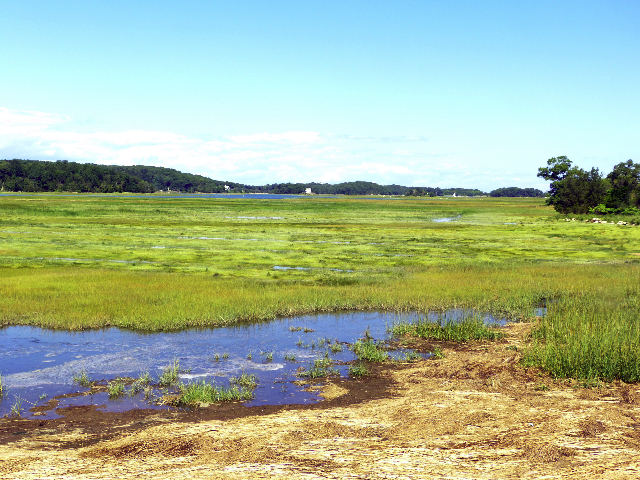 From a window seat we looked out over marsh toward the Annisquam River. 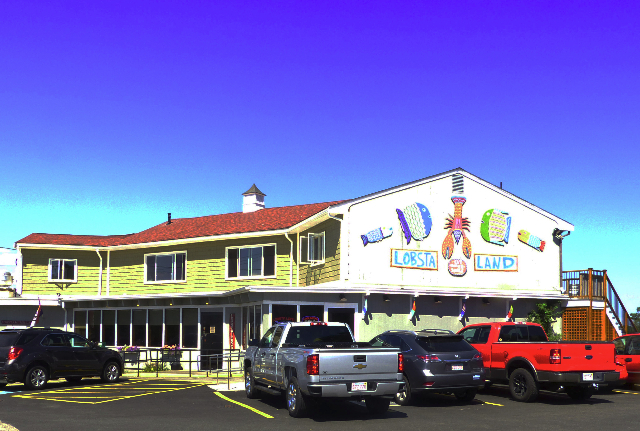 For years it has been a favorite destination for friend calamari and onion rings. It's a local hangout and during lunch we spotted tables ordering burgers and fries. We were on Cape Ann during the time of year when lobsters have shed their shells. The local markets were featuring soft shell lobsters at $5.99 a pound. Some restaurants were offering twin lobsters for about $25. During our visit we were too busy to take advantage of those specials. On the way home, stopping for lunch, this was our last chance for lobsters. We upgraded at $27 each for pound and a quarter lobsters with hard shells. Which meant that they came out of holding tanks from earlier in the season. My lobster was likely in the tank way too long. By any description, based on a lifetime of consuming lobsters, this was a reject. Given that were were charged top level, tourist prices, this was an utter rip-off. They came with a stingy, undistinguished salad and choice of one unimpressive side dish. My lobster was tough to crack and dry with little meat. There was no juice in the claws which is a bad sign. The first clue was the color which was more dark brown than scarlet red. I should have stuck with the fried seafood which is the house specialty. But we were in a mood to celebrate and paid the price in every sense. 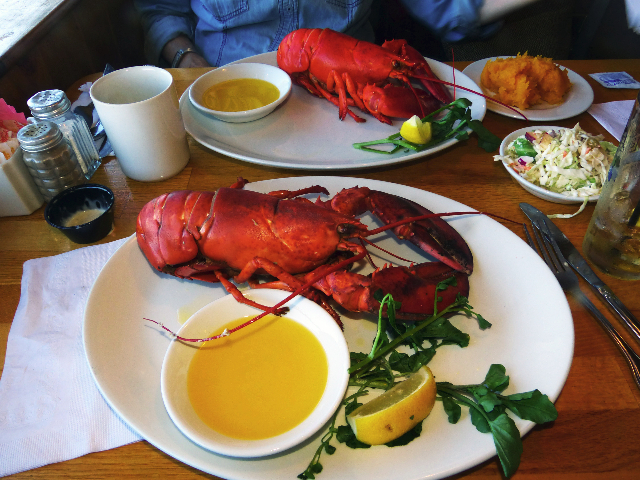 Clearly there are other better places to dine on seafood on Cape Ann. Coming out of Gloucester when you pass this place just keep going.